This crate provides fast functions for printing floating-point primitives to an io::Write. The implementation is a straightforward Rust port of Milo Yip's C++ implementation dtoa.h. The original C++ code of each function is included in comments. See also itoa for printing integer primitives. where dtoa::Floating is implemented for f32 and f64. 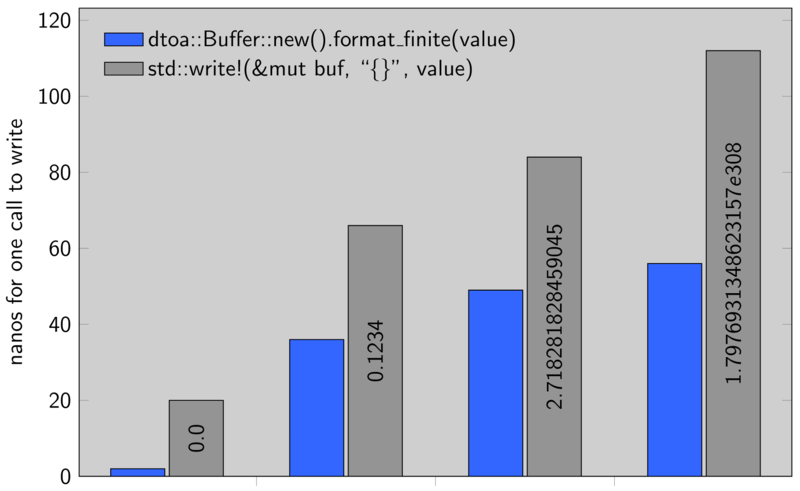 The return value gives the number of bytes written. Unless you explicitly state otherwise, any contribution intentionally submitted for inclusion in dtoa by you, as defined in the Apache-2.0 license, shall be dual licensed as above, without any additional terms or conditions.